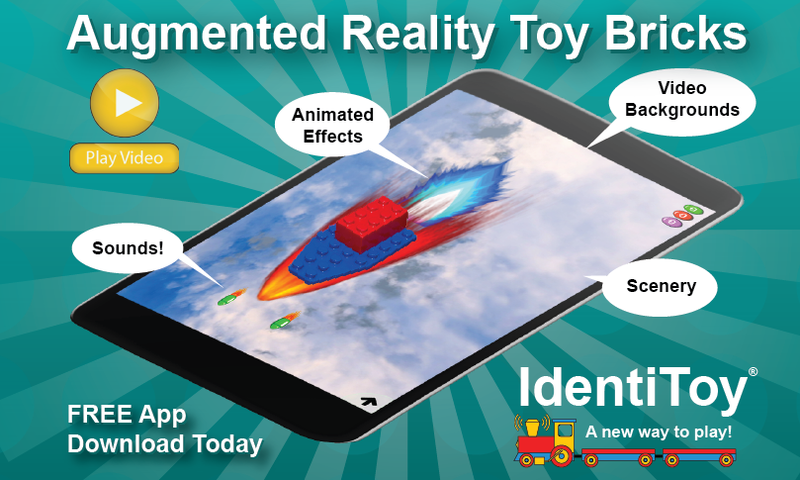 Crystal clear toy brick baseplate for use with the IdentiToy™ iOS App and Android App. Compatible with the most popular 8 mm stud spacing toy bricks. Bring your toy brick building experience to the next level! The trans-clear baseplate can create any image or color beneath it. Need a gray baseplate or a green baseplate? It's just a click away. A water scene with a blue building plate? No problem! Building plates with painted images can be replaced by the IdentiToy baseplate with a custom landscape running on a Tablet PC below. The image that shines through the clear building plate consists of 5 layers of user configurable effects: (1) a video background; (2) a layer of still images; (3) a set of foreground images; (4) a layer of animated effects, and (5) sounds. For example, to create a beach scene, users can place toy brick palm trees, beach huts and toy brick figures in beach apparel on the baseplate. The background scene is then created with a video such as flowing water, seamlessly tileable background images such as sand, a foreground image such as fish, and sounds, such as wave sounds. The baseplate is then placed on the screen for an immersive audio, visual and tactile experience. IdentiToy - A New Way to Play! 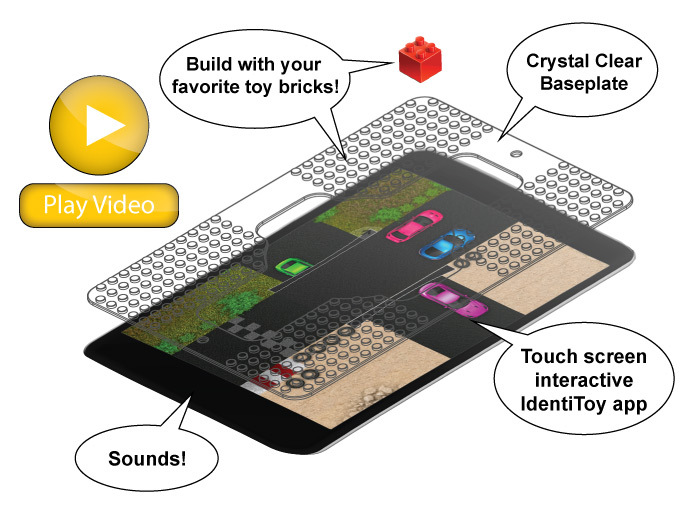 Use our free App to provide scenery and bring life to your favorite toy bricks. The rich capabilities of the App can be seen in the video link below.